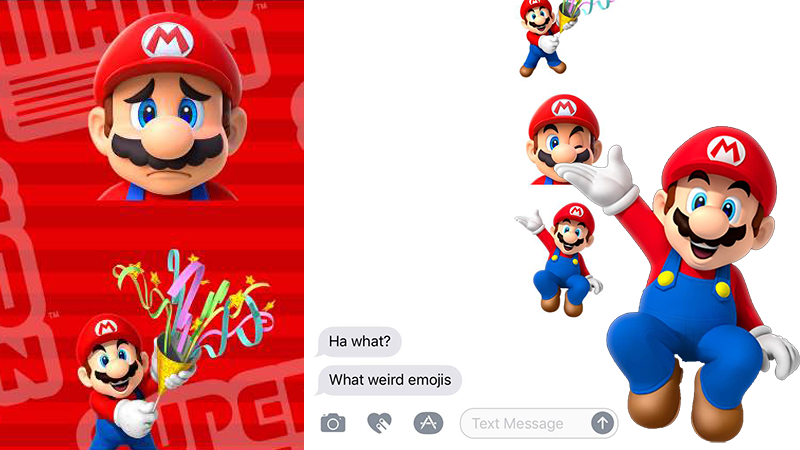 Ahead of the release of his mobile runner later this year, Mario makes his iMessage debut this week in the Super Mario Run sticker pack. As long as you’ve upgraded to iOS 10, you can have Mario all up in your chat box. There are plenty of good reasons to upgrade to the latest version of iOS, many of which have been detailed by our sister site, iOS 10 Central. This one is ours. It might not have a lot of options, and putting Mario mustaches on your friends might get old really quick, but it’s ours, it’s free, and no one can take it away from us. Who the hell is Donna? And once we’re tired of Mario, we can draw things, send heartbeats, sketch on top of video messages and share Pokémon GIFs. Neat indeed, mysterious texting partner who may or may not be Riley (it’s Riley).